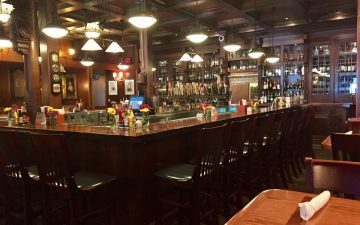 Aristocrat Pub & Restaurant, in Indianapolis, IN, is a premier restaurant and pub serving Marion and Hamilton Counties along with surrounding areas. 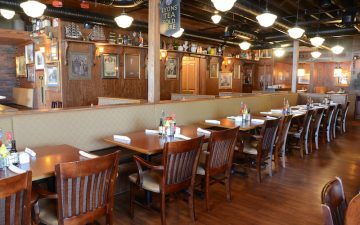 We have 60 craft beers, a private upstairs dining room, live music two times a week, and can host your wedding rehearsal dinner or holiday party! We have everything from steak, pasta, seafood, sandwiches, and more. Stop by Aristocrat Pub & Restaurant, in Indianapolis tonight. Love this locals hangout in Broad Ripple. 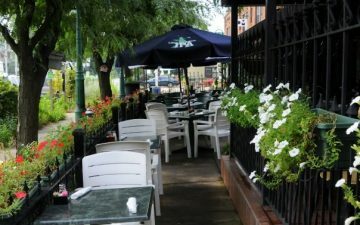 The food is great and the outside patio is perfect on nice days. Very chic and charming! A wonderful locally owned restaurant with an English pub feel. Upscale bar fare and one of the best breaded tenderloins in the city of Indianapolis. Warm and inviting, The Aristocrat is a winner. Excellent service and the Hoosier tenderloin sandwich was great. Good beer and great food. Homemade pretzels and beer cheese are amazing as well as the soup! Pizza is awesome and the live bands are always great! 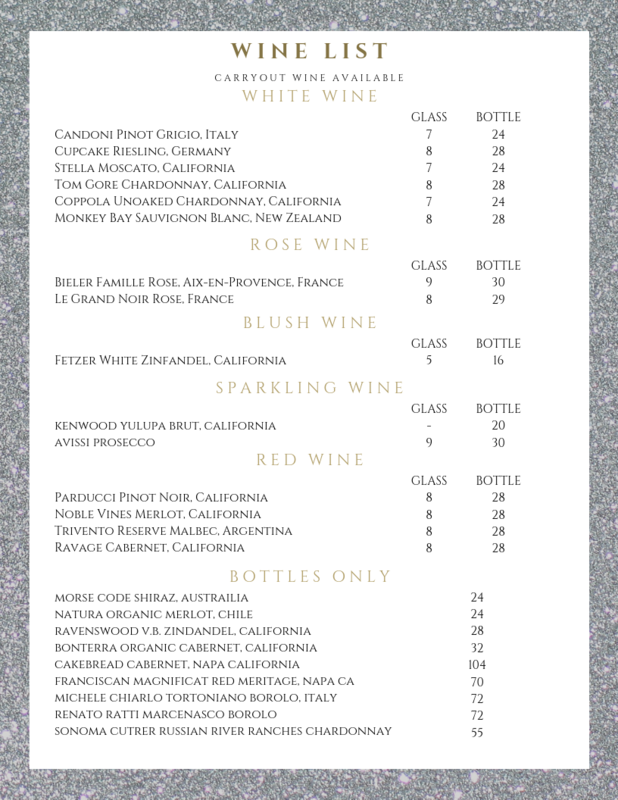 Very pricey if you get drinks, dinner, and dessert but worth it every once in a while. Beautiful environment! Unique ambience! Great service and moderate pricing! Wonderful place to spend time with others and enjoy yourselves! Rick has masterfully re-created an environment which exudes turn-of-the-century craftsmanship and todays unique refreshment and cuisine coupled with a cozy atmosphere to gather with friends! I highly recommend that you come and see what you’ve been missing! My first visit and I was very impressed. Really loved my pork tenderloin sandwich – not at all greasy. Large menu has tempted me to plan a return trip. 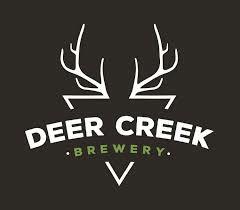 Best place I’ve been to in the 5 years I have lived in the area to grab a beer and terrific food. I went with a group of 12 retired people,. Our waitress was very friendly and knew her stuff. Very efficient. Everyones food was hot or cold as it needed to be. I had the Weiner Schnitzel which was very authentic and delicious . Very clean restuarant. The chef salads looked amazing. One gal had special dietary issues and the waitress works with her with no problem. Excellent place with great variety of food and beer. Glad I moved into this neighborhood! SOUND CHECK BINGO — here’s how it works! Players are given a laminated bingo sheet with 4 different bingo cards on them, a dry erase marker, and a SOUND CHECK BINGO KEY. The host plays a 30 second snippet of a song and the players must first determine the name of the artist for the song. They then use the KEY to find the artist and their related bingo number (for example, Bon Jovi is B7); they then mark their bingo card appropriately. Basically, an interim step of music trivia prior to marking bingo cards. Six games per show and prizes for each winner! This brew made with apricots and orange blossom honey. With a tart fruitiness and a sweet, but not too sugary, finish, the only thing crazy about this Barmy is the amount of flavor. 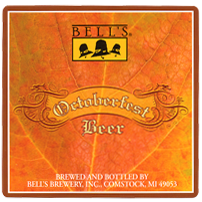 The cinnamon gives this beer a seasonal flavor. It is a solid brown. 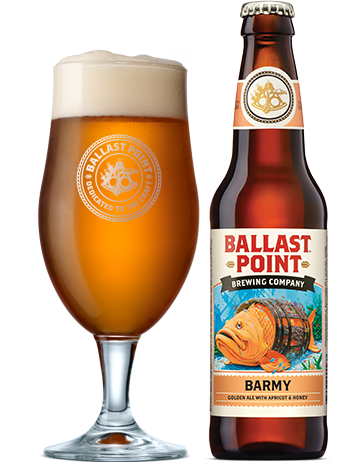 With herbal hop aromas, this balanced amber lager focuses on lightly toasted malt that lends body without too much sweetness. Perfect for a week-long wedding celebration in Germany or the start of the Michigan autumn.